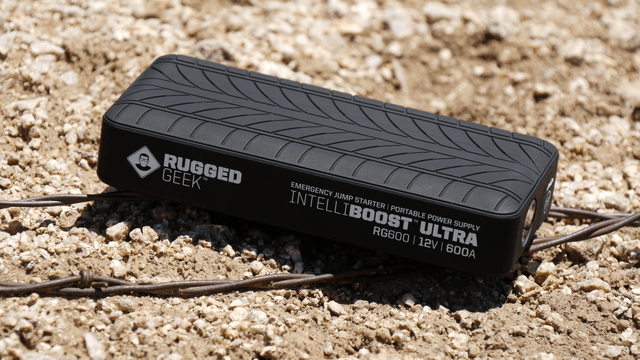 The IntelliBoost RG600 by Rugged Geek is a compact lithium ion battery that you can use to jump start your car, inflate a flat tire, and have charge to spare to charge your phone or a laptop. 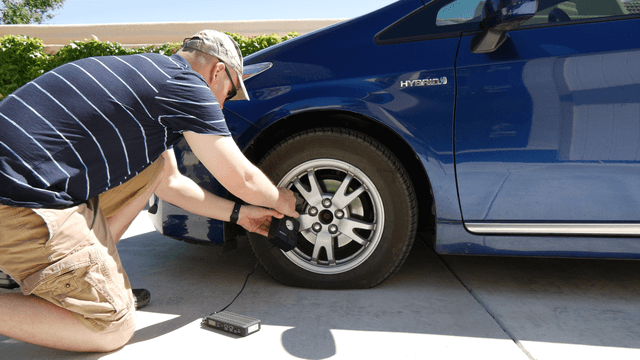 The device is covered in a durable tire-tread material, and it’s able to withstand extreme cold and heat. 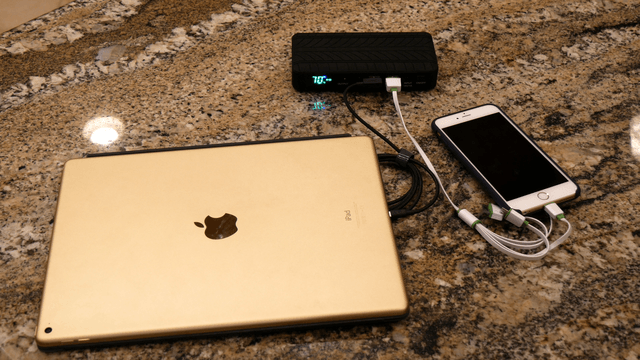 It comes in a case which is loaded with accessories, including mini jumper cables, an air compressor, a universal charging cable for iOS and Android devices, lots of different laptop ports, and a car charger. 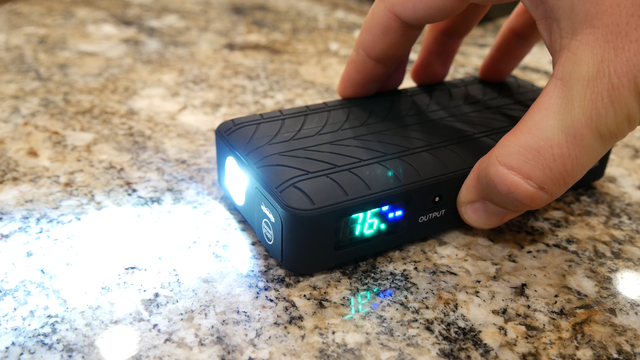 As an added bonus, the RG600 also boasts a super-bright LED flashlight and strobe. 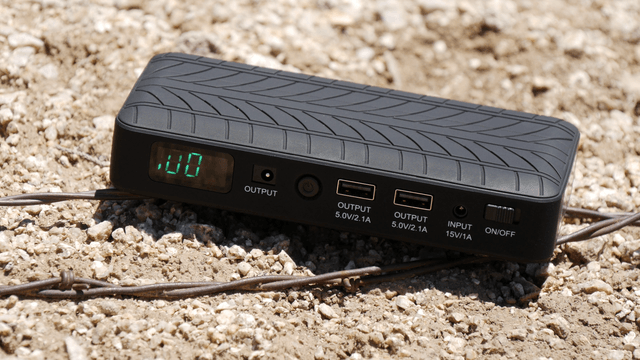 A display on the face of the device can even tell you the percent charged, and operating the device is pretty outrageously simple. 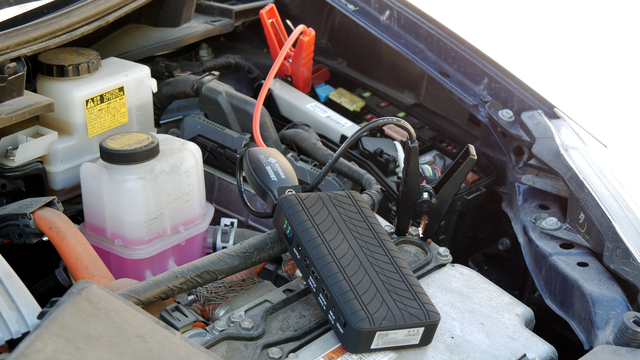 In fact, the jumper cables, when connected to the IntelliBoost, are basically idiot-proof. Somehow, they can detect when they are correctly connected, and if they’re not, the power will be cut and you’ll get an alarm. 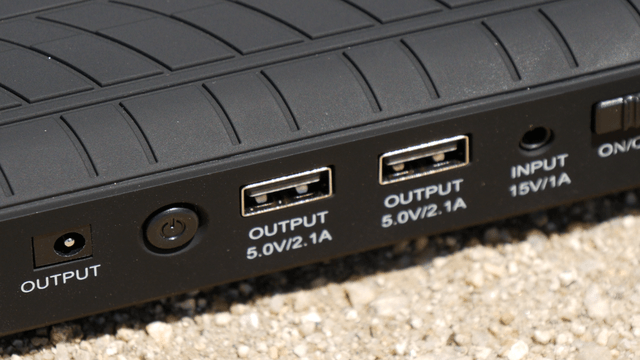 Overall, we were quite impressed with the IntelliBoost. 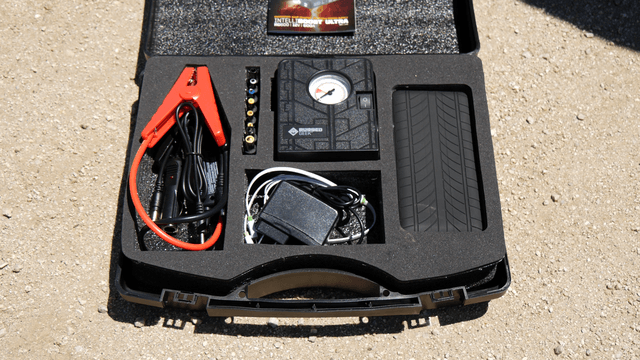 It’s compact size and range of accessories make it extremely handy to keep in your truck.